Any ideas or sources ? Would you have a Universal Resource Locator ? Or this one which is more reasonably priced and nicer than the aliexpress ones. I bought one similar to this years ago. 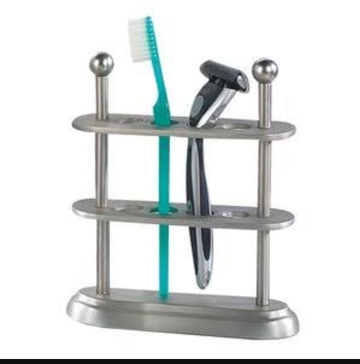 It's an Avanti toothbrush holder. Have you considerd one of those old fashioned carousel-type holders for rubber stamps? I Like the Etsy one. In fact I may just knock one up myself - 1 lump of wood, a spade bit and a saw - what can go wrong ? I have a few of these, they are very good. 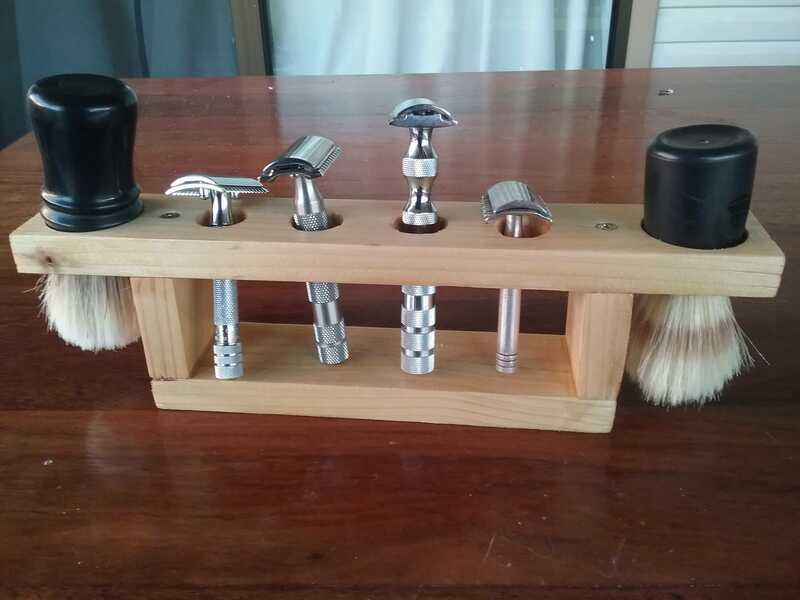 So you could drill holes in the bottom of your brushes and stick six of them on there too! Just bought one of these (Style 3). It will need reducing in width a tad though. It will be simple enough to cut down the wee plastic tubes that set the width, so it should work out OK.
At $15 and $25 respectively, these may present a good option for some people. My only concern would be that the sizing pairs to a 24mm brush (unless I am mistaken) and all my brushes run north of 26mm. So, I think you should be fine.